2000 years ago He walked this earth; preaching, teaching and preparing to make the ultimate sacrifice. The Jesus Christ show is interactive radio theater designed to teach people about themselves and the historical person of Jesus. 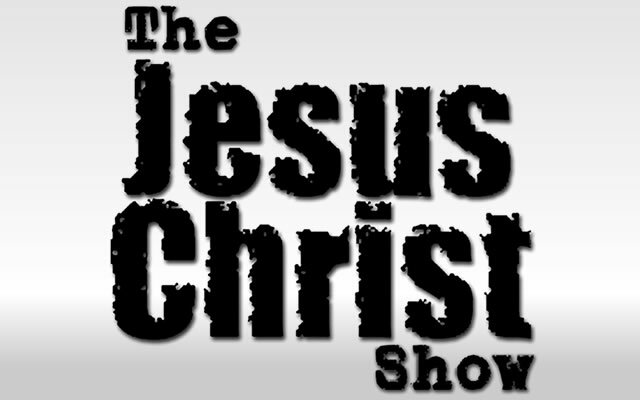 Nationally syndicated, the Jesus Christ show can be heard accross the US. The producer of the the Jesus Christ show, Neil Saavedra, likens the show to a history teacher dressing up like Abraham Lincoln or Benjamin Franklin to help people put flesh on the bones of history. Born into a large family of seven kids and raised in Southern California, Neil Saavedra started his career in radio in January of 1990. Armed with a desire to defend truth and his varied studies of logic, theology, philosophy and religion Neil embarked on his first radio show. Answers with Shield of Faith, a one-hour question and answer program, teamed Neil up with partner Bobby Lownsdale on Ventura’s premiere Christian radio station, KDAR 98.3 FM. Throughout the early 90’s, Neil continued to answer people’s tough questions dealing with God and religion. 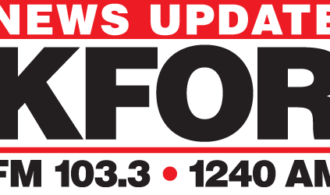 In addition to bringing Answers with Shield of Faith to other Christian stations in the south land like KKLA 99.5 FM and KBRT 740 AM, Neil was a frequent guest on several other radio programs including the Greg Koukl show and Duffy and company. Neil came to America’s most listened to news talk radio station, KFI AM 640, in March 1994 as an intern and has never been happier. Currently Neil produces the nationally syndicated Jesus Christ show every Sunday morning from 6 – 9 (PST). The Jesus Christ show is interactive radio theater designed to help Christians and non-Christians alike learn more about the historical person of Jesus. In addition to producing the radio show, Neil occasionally (very occasionally these days) lectures and teaches at various churches and schools on everything from live Q & A to logic and religious philosophy. This is in line with Neil’s undying love to share with others what some have kindly shared with him. Neil first studied Catholic apologetics at Saint Pascal’s Day School in Thousand Oaks, California, then Protestant Apologetics at Chalcedon Christian Academy where he studied topics such as critical thinking, Theology and general Apologetics. Neil has also taken supplemental courses on the cults, Hebrew, the Trinity and general Apologetics at schools such as Simon Greenleaf University (Trinity School of Law) in Southern California and School of the Oaks in Westlake Village, California. Neil calls himself a “self taught lay apologist”, not because he hasn’t been taught anything from wonderful teachers (he has) but, because although he has warmed the seats of many a classroom he currently holds no degrees (and he hates when people try and sound more educated than they actually are).